The EILBY dining set comes in two handy lengths -1.8m and 2.2m. 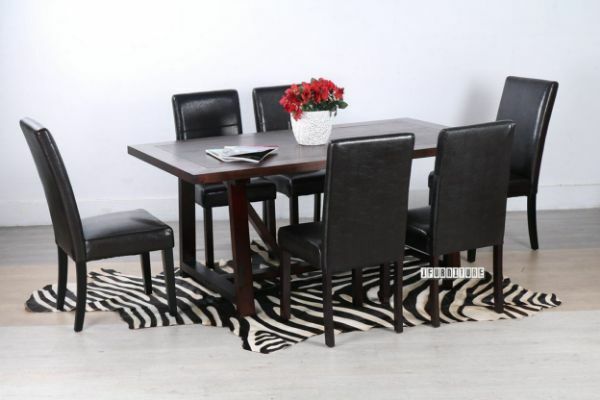 Its made of solid wood and veneer and is available in a rich, dark brown colour. The legs are braced in an interesting way, which makes it a great attention piece. The style of legs do not affect seating positions at the table. So who's going to be first to have a meal at this table?